the white yarn that I purchased along with the others. It's all Tilda yarn from My Rose Valley. This is a birthday washcloth for my friend "E2". Rose pattern/tutorial can be found here. Leaves pattern/tutorial can be found here. 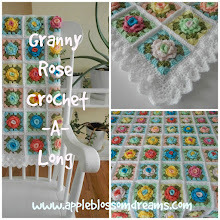 The granny row pattern/tutorial can be found here. 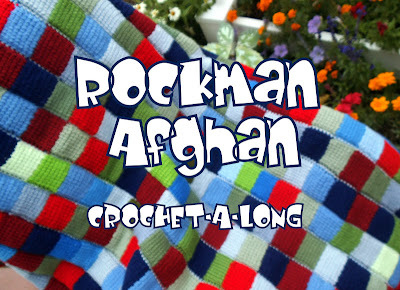 Picot edge pattern can be found here. Linda and Ana of the "Stash-buster 2013" challenge. The plan was to not purchase more yarn, at least not in bulk, until all the stash was busted. Well, things were going along just fine until the most irresistible yarn jumped out in front of me. If so, you will understand. Tilda yarn from Sweden via Switzerland - how cool is that? Oh my goodness, the cotton, the colors, the energy was all too much to take. 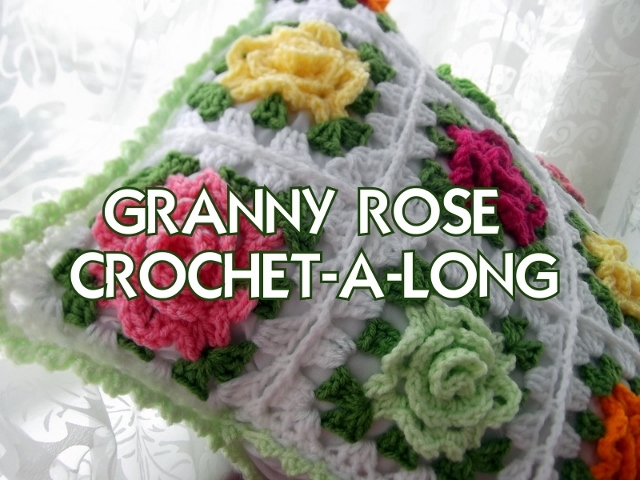 Annette had even crocheted the most delectable flowers with the Tilda yarn. A package of the yarn-candy-joy arrived on my front porch! My own little Rose Valley!!! Rose tutorial can be found here. I'm easily distracted and amused. I could play with these all day! If you have not visited Annette before, please check out her blog. but now I probably need someone to define "stash". This purchase is not stash yet...but when does it become stash? We are thinking lots of stuff is going on underground. And now for a general garden update. Three little troll friends to welcome you. ...such as...what's going on in the garden? Lucille from this post still alive and well. it helps me know what to expect next year. I do so love to see your gardens, as well. I heart the flower garden!